Shown above is the cover of a short story describing a patrol flight being flown during the cold war along the China Coast. The aircraft being flown in the story is a P4M-1Q. The P4M Mercator was a rare bird. There were two prototypes and nineteen production models. All of the production models were eventually converted to the P4M-1Q configuration to be used for the electronic surveillance mission. During the 50’s and through the 60’s and 70’s when the Korean and Viet Nam wars took place, the cold war was at its peak and the peripheries of the communist nations were continually patrolled by United States Navy and Airforce aircraft. Sometimes these flights were intercepted and resulted in over two hundred navy and airforce airmen dying during that period due to hostile actions. The public knew very little of this activity. As far as the United States government was concerned it wasn’t happening and couldn’t protest if one of their reconnaissance aircraft that didn’t exist had been attacked or shot down. A web site, Intrusions, overflight, shootdowns and Defections during the cold war, (http://myplace.frontier.com/~anneled/ColdWar.html) , attempts to list all of the documented intercepts. The author of the story, US. Navel Air Routine Patrol has found the web sites list of intercepted intrusions and shootdowns voluminous but not complete. However the list has many pages of incidents and likely has the majority of significant incidents listed. During 1952 and 1953, the period in which the story, “U.S. Naval Air Routine Patrol,” took place, thirty two incidents involving intercepts of aircraft flown by the United States and its allies near or within the borders of communist nations are recorded. Not many of these activities made the news since they were treated as top secret by the United States. These numbers need to be put into perspective. During a two year period, starting in 1951 and ending in 1953, the author of the story “U.S Naval Air Routine Patrol, ” flew on 95 patrols lasting approximately ten hours each. That is approximately fifty patrols a year. The four plane contingent the author was associated with operated at about the same level and flew around two hundred patrols a year. That four plane contingent was only a small portion of the overall reconnaissance activities occurring around the periphery of the communist nations at the time. In other words, the electronic surveillance reconnaissance experience was more boring than exciting. The most excitement occurred because of the weather or mechanical problems. There were three intercept incidents involving the four plane contingent that the author is aware of while associated with it. One of the incidents has been listed in the Intrusions, overflight, shootdowns and Defections while two weren’t. The one mentioned occurred on 23 April 1953. U. S Navy plane (BuNo 124369) was attacked by two MiG-15 Fagots while flying off the Chinese coast near Shanghai. The MiGs made several firing runs and the crew of the Mercator returned fire. The Mercator was not hit, and as far as the Mercator crew could tell, their return fire did not damage the MiGs. In another incident the author, as radioman on BuNo 121453, sent an under attack message while on a patrol along the west coast of Korea. The officer overseeing the electronic surveillance in the back of the plane had reported excitedly that fire control radar had locked in on their plane. Nothing came of the incident except a debriefing after returning to Atsugi Navel Air Station. The third incident is based on excited talk by enlisted crew members who said that they had been attacked by MiGs off Shanghai. This incident can’t be found in any literature the author has seen. Neither had the author seen or heard anything confirming the attack on BuNo 124369 at the time it occurred. The only source of information the author had at the time has been enlisted crew members talk. There are documented attacks of other Mercators in other theater’s and at later dates. These included: On 22 August 1956 a U.S. Navy P4M-1Q (BuNo 124362) disappeared after a night time attack 32 miles off the coast of Wenchow China. There were no survivors of the 16 crew members. P4M made crash landing after attack over the Sea of Japan. On 6 June 1959 while flying a patrol mission over the Sea of Japan a U.S. Navy P4M-1Q (BuNo 122209) was attacked 50 miles east of the Korean DMZ by two MiG-17 Frescos. During the attack the Mercator sustained serious damage to the starboard engine and the tail gunner was seriously wounded. The badly damaged plane was able to land at Miho AFB Japan. In the European theater on 14 January 1960 a P4M-1Q flight originating out of Incirilik AFB Turkey was lost with all sixteen crew members. A Kindle version of the short story, U.S. 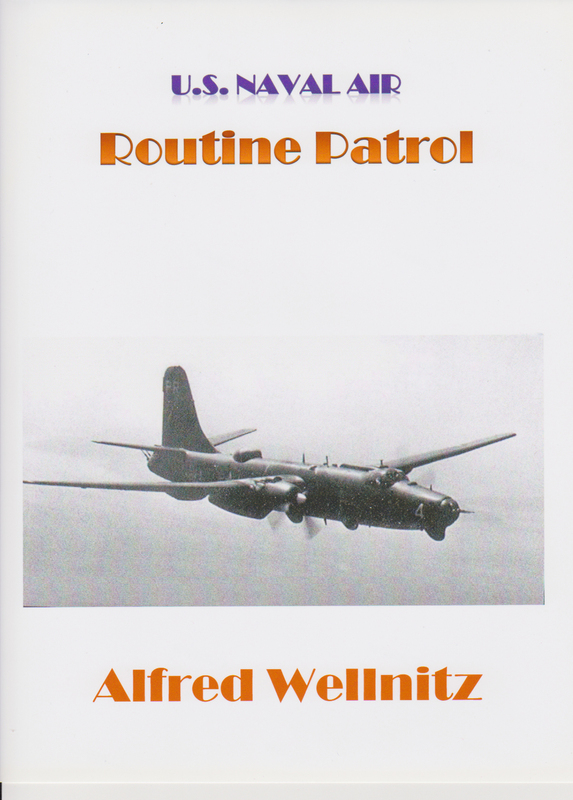 Naval Air Routine Patrol, can be found at Amazon.com Alfred Wellnitz Books.